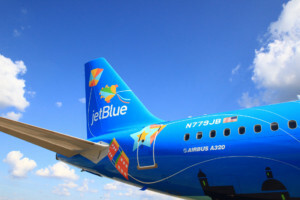 JetBlue, Puerto Rico’s largest airline, has unveiled its latest special livery, which is dedicated to “La Isla del Encanto.” The Airbus 320 aircraft – tail N779JB – is named “Bluericua,” blending JetBlue’s brand with the affectionate name for people of Puerto Rican descent. This custom-designed livery is inspired by JetBlue’s admiration for Puerto Rico’s dynamic culture, stunning beauty and the passionate spirit of its community. Bluericua is a very public display reaffirming JetBlue’s commitment to Puerto Rico and takes the airline’s celebration of Puerto Rican culture to new heights. This special livery reminds those who see it of the reasons they should choose Puerto Rico for their next vacation and will inspire Puerto Ricans outside of the island to take a trip home to visit family and friends. Bluericua was designed with help from a group of JetBlue crewmembers based in San Juan, Aguadilla and Ponce, Puerto Rico. Together, they identified the quintessential cultural symbols that will promote Puerto Rico as Bluericua travels throughout the JetBlue system. Flying kites is a beloved pastime for the Puerto Rican community, and Bluericua celebrates this tradition that brings together family and friends. Bluericua’s kites start out at the Puerto Rican skyline and fly in unison toward the aircraft’s tail fin, evoking feelings of being carefree and happy – all emotions that a trip to Puerto Rico can deliver. 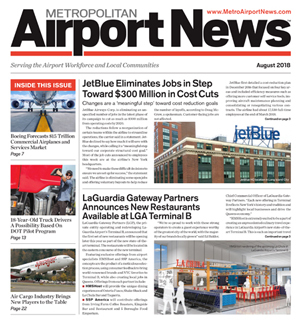 “The Government of Puerto Rico acknowledges and thanks JetBlue for its firm commitment to the development of local economy and tourism of the Island, creating new jobs, expanding its routes and frequency of flights to Puerto Rico, through its JetBlue 100×35 initiative, and now celebrating and giving wide visibility to the Puerto Rican culture with the newly designed Bluericua livery,” said the chief executive. Rosselló also added that “very few destinations have a dedicated aircraft, much less as a gift from JetBlue. We are honored to receive this detail from this important partner for us, which demonstrates the strong collaboration between JetBlue and the Puerto Rico Tourism Company”. “JetBlue has been a great partner and ally of the Puerto Rican community for over 16 years. The airline’s commitment to the Island, has been showcased during the past year, with the implementation of a series of programs to support every step of our recovery. The partnership between the Government of Puerto Rico and JetBlue is stronger today than it has ever been. Today, we thank JetBlue for this new livery, which celebrates Puerto Rican culture. 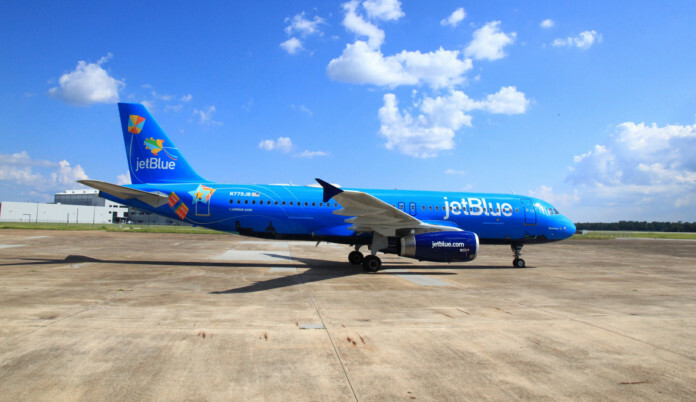 ‘Bluericua’ will generate great attention for our destination in all markets that JetBlue serves and will serve as a reminder of the diversity and authenticity of our offering,” said Carla Campos, executive director of the Puerto Rico Tourism Company. Bluericua made a special visit to San Juan with a lively airport celebration hosted by JetBlue and the Puerto Rico Tourism Company, with the governor of Puerto Rico, Ricardo Rosselló, on hand to welcome the aircraft to its cultural home for the first time. Bluericua later operated its first commercial flight for customers from San Juan traveling to Boston, continuing the celebration in the air. JetBlue recently launched a campaign that pays homage to the beloved practice of spontaneous applause once a flight lands in Puerto Rico, along with some of the island’s iconic music. JetBlue teamed up with Puerto Rican musicians Ángel “Cucco” Peña and Víctor Manuelle to create a surprise and delight experience for customers traveling on a recent New York JFK-San Juan flight to celebrate the tradition. Victor Manuelle led an improvised rhythmic chant, incorporating the famous applause with live music, all while inviting JetBlue customers to join the fun during an aircraft-wide celebration. 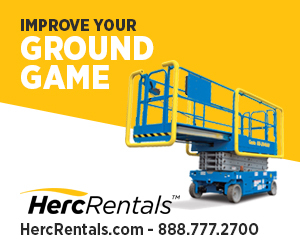 Earlier this spring, JetBlue returned to pre-hurricane capacity, offering up to 48 daily flights between Puerto Rico and 13 cities in the mainland US, the US Virgin Islands and the Dominican Republic. JetBlue also welcomed 50 new ground and airport operations crewmembers. Puerto Rico is home to nearly 500 JetBlue crewmembers who support the airline’s operations in its focus city of San Juan, as well as in Aguadilla and Ponce.